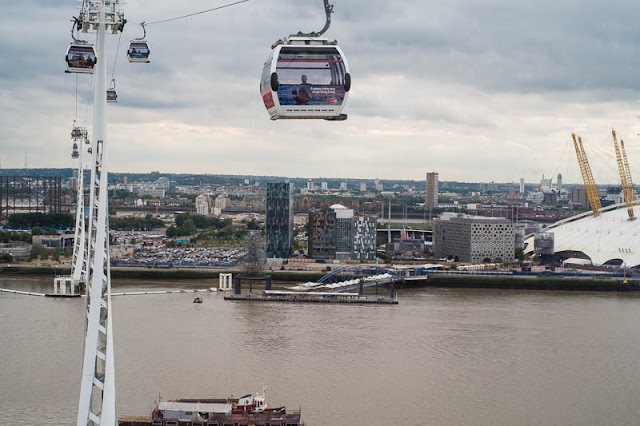 London's first cable car was built in 2012 crossing the Thames from Greenwich Peninsula to Royal Victoria Dock. It's a bit of a white elephant as the numbers using it are very small. Still if you are out that way it is an inexpensive way to see great views of London, including the Thames Barrier, the O2 and Canary Wharf. Every photographer should do it. This looks great. I hope it's still there the next time I am. I'll take it for sure. Mo, were you riding up there? You thrill seeker!